In a recently-amended 13D filing on Strategic Hotels & Resorts Inc. (NYSE:BEE), asset management Cascade Investment LLC, owned by William Bill Gates, disclosed a 9.8% ownership stake in the company with 26.91 million shares. This is up nearly 1.74 million shares from the 25.18 million shares held as of March 9, when the fund submitted its latest 13D filing on the equity real estate investment trust. 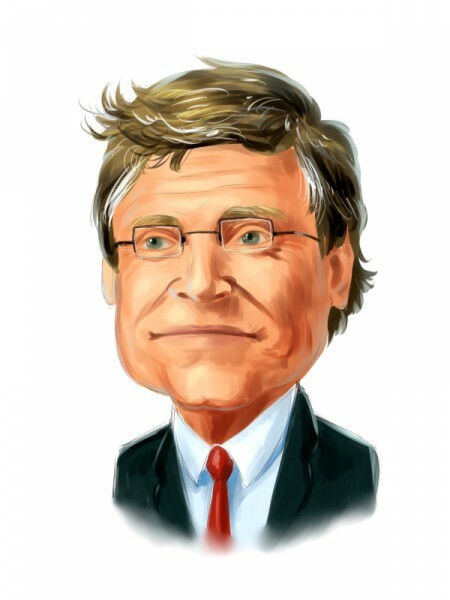 Cascade Investment serves as the investment arm of billionaire Bill Gates and is managed by successful value investor Michael Larson, who also administers The Bill and Melinda Gates Foundation Trust. Michael Larson is a key person behind the impressive growth of Bill Gates’ fortune, which reached a net worth of over $79 billion. Hedge funds and other big money managers like Cascade Investment tend to have the largest amounts of their capital invested in large and mega-cap stocks like Apple Inc. (NASDAQ:AAPL) because these companies allow for much greater capital allocation. That’s why if we take a look at the most popular stocks among funds, we won’t find any mid- or small-cap stocks there. However, our backtests of hedge funds’ equity portfolios between 1999 and 2012 revealed that the 50 most popular stocks among hedge funds underperformed the market by seven basis points per month, showing that their most popular picks and the ones that received the bulk of their capital were not actually their best picks. On the other hand, their top small-cap picks performed considerably better, outperforming the market by 95 basis points per month. This was confirmed through backtesting and in forward tests of our small-cap strategy since August 2012. The strategy, which involves imitating the 15 most popular small-cap picks among hedge funds has provided gains of more than 123%, beating the broader market by over 66 percentage points through the end of April (see the details). Strategic Hotels & Resorts Inc. (NYSE:BEE) is a real estate investment trust (REIT) that owns and provides value enhancing asset management of upscale and luxury hotels and resorts in the United States and Europe. The shares of the REIT are currently trading exactly at the same level as they were trading on the first day of 2015. However, the stock has embarked on a steady uptrend a few months ago after suffering a significant slump during the first months of the year, gaining nearly 10% over the last two-month period. From a pool of over 700 hedge funds that we track, Jim Simons’ Renaissance Technologies represents the largest shareholder of Strategic Hotels & Resorts Inc. (NYSE:BEE), holding an ownership stake of 1.49 million shares as of March 31.